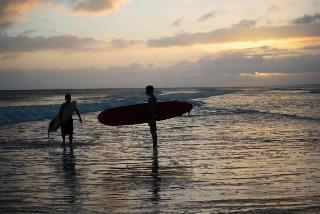 Find huge deals in North Carolina Coast Nc, United States that you may book now & pay later! Best prices for in North Carolina Coast Nc, United States. A dream vacation for you and your family, guaranteed by our travel consultants. For members-only deals, we recommend using the new filter for deals in North Carolina Coast Nc, United States. The Oceanfront Hilton Garden Inn Outer Banks/Kitty Hawk hotel in Kitty Hawk, North Carolina is on the beautiful coast of the Atlantic Ocean giving each guestroom its own unique view while being convenient to shopping, beaches and dining. 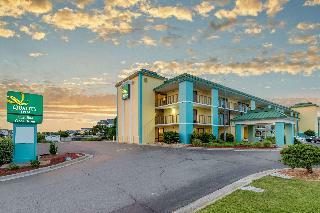 This comfortable resort is set in Morehead City. The resort comprises a total of 217 snug accommodation units. Pets are not allowed at this property. This lovely hotel is set in Kill Devil Hills. A total of 176 guests rooms are available for guests' convenience. No pets are allowed on the premises. 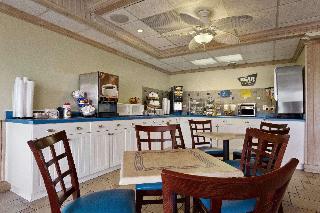 Rest easy at our Travelodge Outer Banks/Kill Devil Hills hotel. 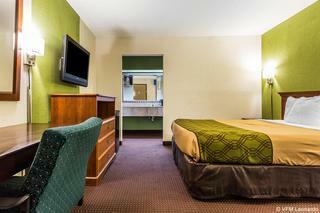 Whether you are our guest for just one night or an extended stay, we offer comfortable accommodations at a great price. Dog-friendly beaches, parks, and historical sites are minutes away from our pet-friendly location near the Wright Brothers National Memorial. This lovely hotel is situated in Elizabeth City. There are a total of 46 guests rooms on the premises. Both wired and wireless connections are available for guests' convenience at the communal areas. The hotel provides 24-hour reception. Pets are not allowed at this hotel. Visitors arriving by car may leave their vehicle at the accommodation's parking spaces. 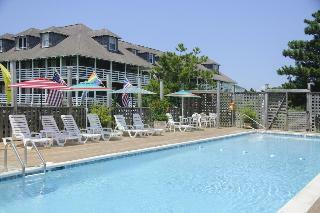 This charming hotel is located in Nags Head. The accommodation features a total of 26 rooms. First Colony Inn is not a pet-friendly establishment. This charming hotel can be found in Kill Devil Hills. 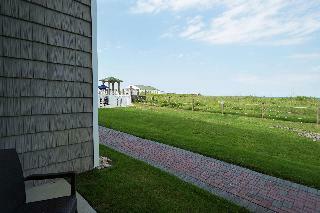 There are a total of 41 accommodation units at The Inn at Corolla Lighthouse. Guests will not be bothered during their stay, as this is not a pet-friendly property. 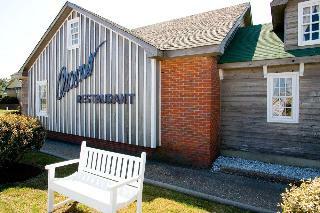 This charming hotel is situated in Kill Devil Hills. The accommodation comprises a total of 54 snug bedrooms. Customers may keep updated with the internet or Wi-Fi access available on the property's communal areas. The reception desk is open all day long. Those who dislike animals may enjoy their stay, as this property does not allow pets. Additionally, a car park is available on the premises for guests' extra convenience. This comfortable hotel is in Nags Head. Travellers will enjoy a peaceful and calm stay on the premises, as it counts with a total of 12guests rooms. Visitors will not be bothered during their stay, as this is not a pet-friendly accommodation. 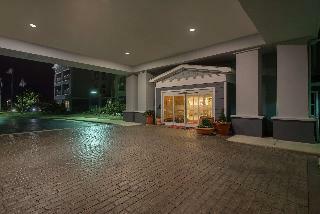 This lovely hotel can be found in Elizabeth City. Those wishing to escape the hustle and bustle of daily routine will find peace and tranquillity at this establishment. Pets are not allowed at The Pond House Inn. 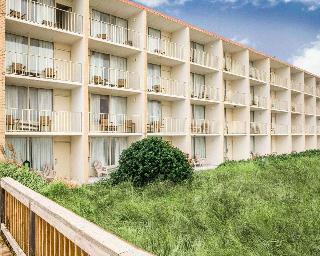 This lovely hotel is located in Kill Devil Hills. A total of 74 guests rooms are available for guests' convenience. Guests will keep updated thanks to the wired and wireless Internet connection available in public areas. The front desk offers 24-hour reception. This property does not accept pets. 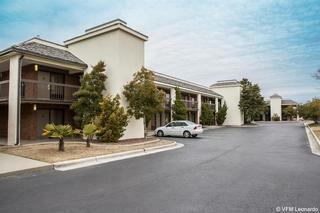 There is a car park at Days Inn & Suites by Wyndham Kill Devil Hills. 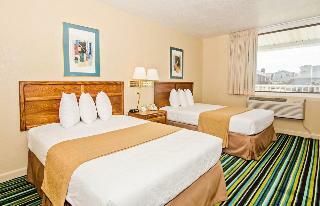 This comfortable hotel can be found in Nags Head. The hotel consists of 68 guests rooms. Pets are not allowed at Owens' Motel. 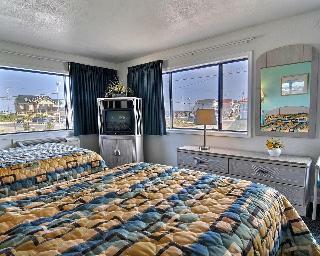 This comfortable hotel is located in Kill Devil Hills. Customers will not be bothered during their stay, as this is not a pet-friendly establishment. This charming hotel is situated in Elizabeth City. The 73 welcoming units offer a perfect place to relax at the end of the day. Those who dislike animals may enjoy their stay, as this establishment does not allow pets. 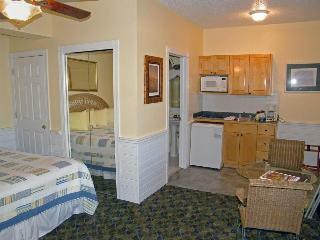 This comfortable hotel is located in Kill Devil Hills. The accommodation comprises a total of 107 snug guests rooms. Travellers will not be bothered during their stay, as this is not a pet-friendly accommodation. 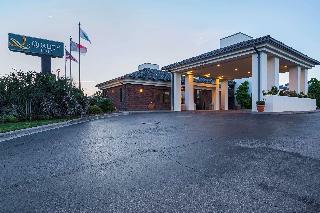 This lovely hotel can be found in Elizabeth City. This accommodation does not accept pets. 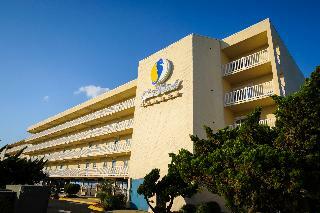 This lovely hotel is situated in Morehead City. Pets are not permitted on the premises.